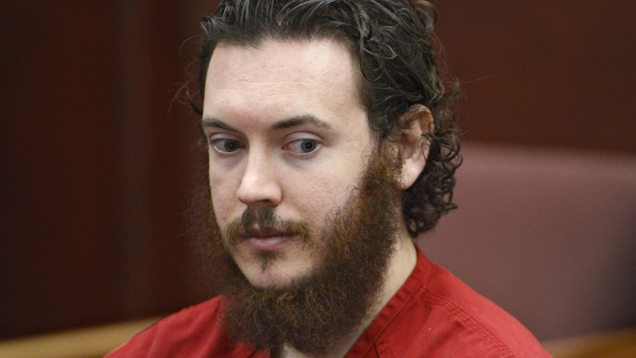 On Friday, a jury deciding the fate of Aurora movie theater shooter James Holmes said they were unable to reach a unanimous sentencing decision, resulting in life in prison without parole instead of the death penalty for the man who killed 12 people and wounded 70 others at a screening of The Dark Knight Rises in 2012, CNN reports. “We ended our deliberations when one absolutely would not move,” [a] juror, who only identified herself as “juror 17,” told reporters after the verdict Friday. Two other jurors were “on the fence” about the death penalty, she said. The jury rejected arguments from Holmes’ defense attorneys that he was legally insane when he carried out the attack and found him guilty of 24 counts of murder — two for each person he killed. Holmes’ lawyers then argued it would be inhumane to execute a man who suffered from mental illness. Juror 17 said the issue of mental illness appeared to be the reason the juror refused to vote to sentence Holmes to death. “There was no other concern,” she said. At a press conference on Friday, District Attorney George Brauchler expressed disappointment with the sentencing verdict while praising the efforts of the jurors themselves.